This post was inspired by a blog post of Shaibal Roy, Member of the NHS Future Forum, and a subsequent conversation with him over twitter. 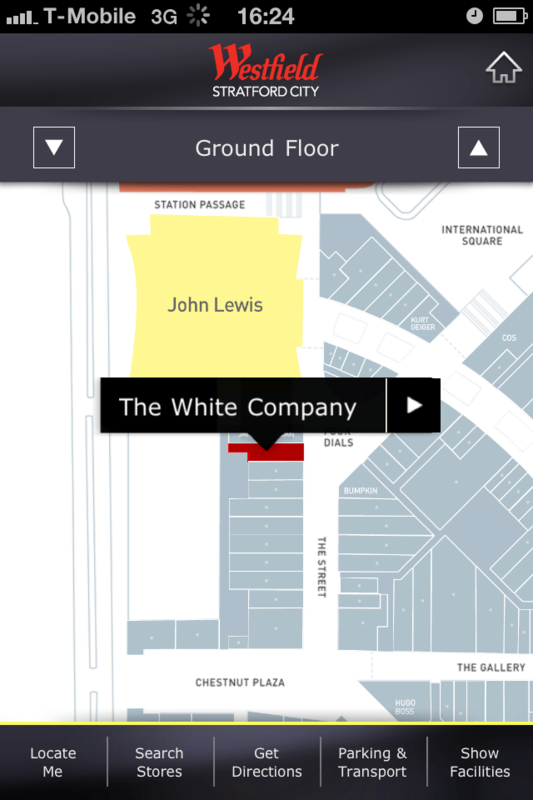 A copy of this post has now been published on the Department of Health #mapsandapps blog. Way-finding problems are common in hospitals, especially when the setting is poorly designed and badly sign posted. This is costly for the hospital and can cause stress, disorientation and uncertainty for those patients and visitors who are unfamiliar with the hospital setting . Research has shown that when people get lost, they feel stressed, which raises cortisol levels and lowers immune system functioning . Of course this problem could be partially overcome by designing better layouts. However, the question is what could you do if the hospital is already built? The obvious answer is to provide better signage, including optimal spacing and better signage . Alongside this, provide maps that are easy to follow, read and understand . However, a clear easy to understand map isn’t always provided by hospitals. And even in the cases where it is provided, the numerous entrances that are not always signposted well, as well as the confusing structure and layout of hospitals makes it difficult for many new healthcare users to find their way around. In the past couple of months I visited three different hospitals, and each time I had to ask for directions, even though I had a map. For patients that are already under stress and some in a disoriented state, this can be a rather distressing experience. One of the ways to overcome this problem is by exploiting a portable device that an estimated one third of the UK population carry with them – the smart phone. 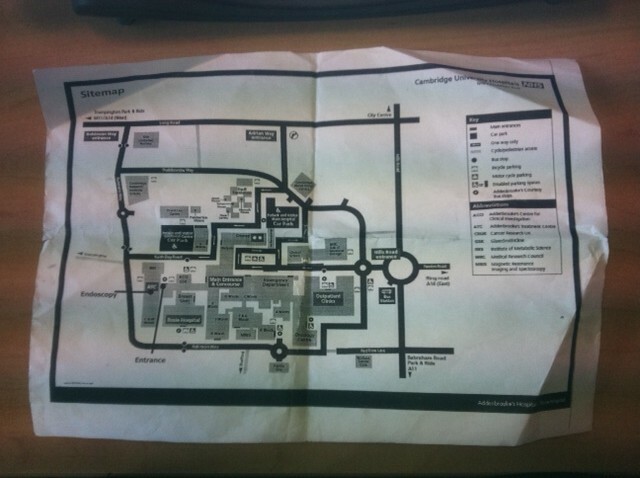 A smartphone app can be created that can recognise where you are and give you directions with a map (as seen in the above picture) of where to go to within a hospital, and this type of idea called Locating You has been submitted to the IdeaScale developed by the Department of Health. However, this idea is not new – there are numerous examples of this type of app being used in other large settings and environments, such as airports, shopping centres, transport, library and universities. How many people entered a certain clinic in a day? Which clinic is the most busy? At which times in the day is the hospital very busy? How many times are the same people entering clinics? Having used the app once, are people becoming dependent on the app? A way-finding app could also be used to engage with patients, which is where the real ‘advantages’ lie. Once they have downloaded the app, it could be used to ask patients for feedback on their treatment, their experience on any of the services they have used, ask them to participate in research, ask them to volunteer etc. Advertisements or coupons could also be used to promote the hospital café/restaurant or shopping area or even local businesses (I wouldn’t personally encourage or endorse the latter). NB: If you are a NHS trust thinking of developing this type of app, please do get in touch! Zeisel, J, Silverstein, NM, Hyde, J, Levkoff, S, et al. 2003, “Environmental Correlates to Behavioral Health Outcomes in Alzheimer ’ s Special Care Units.” The Gerontologist, vol. 43, no. 5, pp. 697-711.